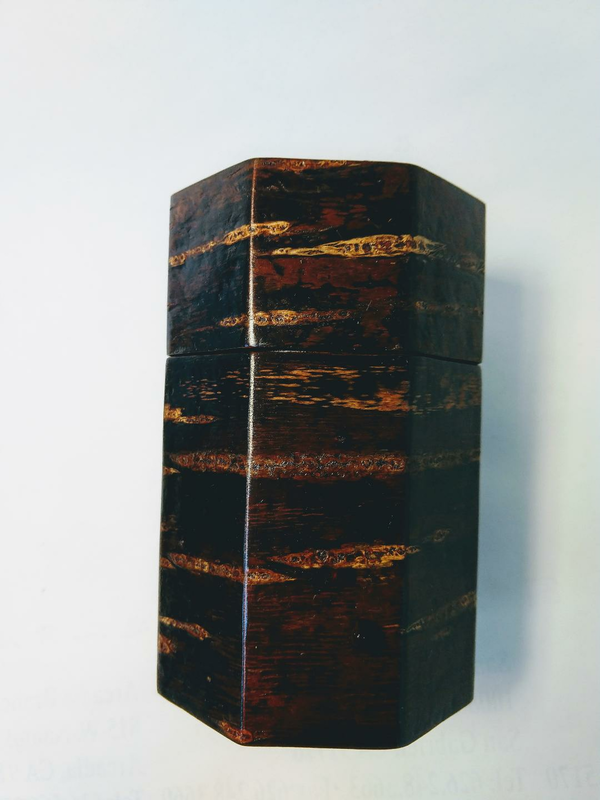 Cherry bark covered wood canister with inside wood lid. 5" height and 3" wide lid. From China.